The rise in sales when it comes to electric vehicles is more than noticeable, but it seems that we are able to say that mostly because of Tesla Inc.’s coming out into the mainstream electric vehicle market. They are also responsible for the end-of-year surge which lead to the year 2018 closing with 2 million sales. The estimated result stands at 2,018,247, which is 72% more than a year ago at an average market share of 2.1%. Moreover, all-electric cars took 69% of sales, while PHEV 31%. Such a high advantage for BEVs has not been seen since 2011. Next year result is expected at 3-3.5 million with a monthly record maybe at around 500,000. But which carmaker(s) will be able to produce all those vehicles? According to Inside EVs, sales of plug-in electric cars increased very fast and in December reached an all-time record of around 286,367 with the rate of growth 70%. The indisputable market leader in 2018 was Tesla Model 3 with an all-time record of 25,050 in December and an all-time record of 145,846 in 2018. That means that no other all-electric (or plug-in hybrid) model was ever even close to Model 3 results. The next two places were taken by Chinese BAIC EC-Series (90,637) and Nissan LEAF (87,149) with Tesla Model S (50,045) and Tesla Model X (49,349) complementing the all-electric Top 5 making Tesla the brand with 3 models in Top 5! BYD put the most – 5 – models in the Top 20, which consist of 3 models from the US, 3 from Europe and 3 from Japan (the remaining 11 are from China). However, the overall electric vehicle market share is still very low – around 2%. 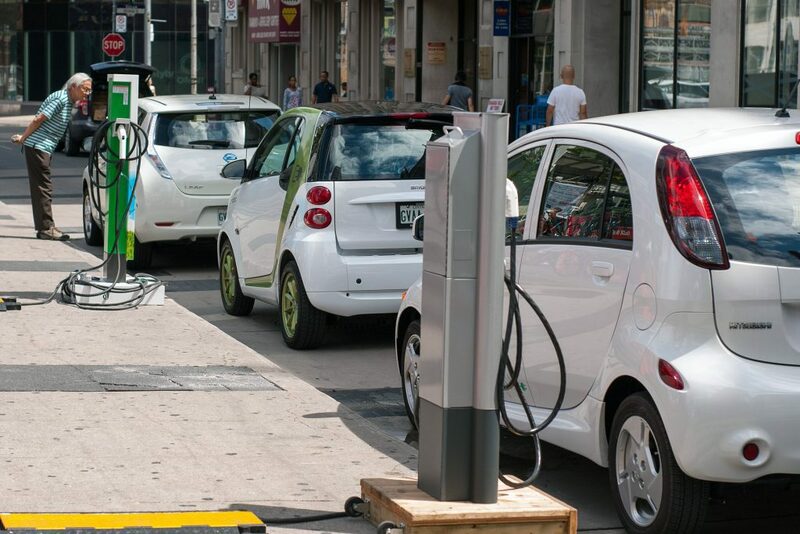 Yes, there are countries systematically working on increasing the number of electric vehicles on the streets – and ultimately replacing the ICE vehicles altogether. But we are still far from achieving this goal. Will Tesla have to muscle up and take on the biggest share of the market or will the other biggest automakers follow their lead. Toyota revealed at the end of 2017 that it would be marketing and selling more than 10 all-electric vehicle models around the world by the early 2020s, as well as that it would be investing approximately $13 billion into the development of battery technology through 2030, at least. However, an announcement from April 2018 mentioned 10 electrified models by the end of 2020 – fully electric, plug-in hybrid (PHEV) or conventional hybrid models. At the moment, Toyota doesn’t sell any fully electric cars. The car with the biggest battery that it sells today, its only plug-in car, is the Prius Prime. The next 3 plug-in vehicles Toyota has coming are Chinese PHEV versions of the Corolla and Levin in 2019, followed by a fully electric compact SUV based on its C-HR or IZOA in 2020. Based on conflicting statements from the company, it’s unclear how many fully electric cars and how many plug-in hybrids Toyota is bringing to market in the next 3-5 years. It’s also unclear how many fully electric models will be sold outside of China – in North America, Europe, South America, Africa or Australia. What is known is that Asia is a priority thanks to China’s strong EV policies. Toyota’s first all-electric cars will go to China first and then Japan, India, the US and Europe. Volkswagen appears to be the most aggressive about transitioning to fully electric vehicles with their plan to be producing 50 fully electric models by 2025. To help achieve that, it intends to invest $40 billion into electric car tech – mostly batteries – by 2022. They also expect to be selling approximately 2-3 million electric cars a year by 2025, with those cars making up approximately 20-25% of the company’s sales. With these goals in mind, it seems that Volkswagen is the company most likely to surpass Tesla in electric car sales by 2025. However, there’s a strong case to be made that Tesla will be selling more than 3 million cars a year by 2025. In other words, there’s a strong chance no automaker passes up Tesla. The plug-in cars Volkswagen is currently selling include 6 plug-in hybrids and 2 fully electric cars sold in Europe in moderate volumes but elsewhere in tiny volumes. Moreover, it appears that Volkswagen is flying into fully electric cars, not wasting much time on plug-in hybrids. That’s another point that strongly makes the case Volkswagen sees electric cars as the future and wants to be a leader into that future within a few years. Honda intends to have a compact EV on the market in Japan by 2020, but it will probably also have to roll out several electric models in order to see half-decent sales in China. Honda is supposed to start taking reservations for the Urban EV concept in early 2019 and start producing it in late 2019. There’s also the Honda Everus EV concept targeted at China. But there are no real insights into their plans beyond that. One thing is for sure – unless Honda plans to go out of business, we’ll have to wait till 2030 for some notable electric vehicles from the automaker. GM has a plan to be producing 10 electric vehicle models by 2020 – in China. Furthermore, it intends to launch another 10 models between 2021 and 2023 – again in China. Presumably, some of those electric car models will also be available in the US and Europe, but it’s still unknown for sure. What we do know is that all 20 models are supposed to be fully electric vehicles and not “electrified” hybrids. General Motors CEO Mary Barra also announced that they aim to have battery cell costs down to $100/kWh by 2021, while Tesla has reportedly already reached that figure. Ms. Barra indicated the company intends to be producing profitable electric cars by 2021. We don’t know how many electric cars GM intends to be producing by 2020 or 2023, but it seems highly unlikely the target is high. Ford has made an interesting move with deciding to ditch cars in the US, aside from its iconic Mustang. Retreating from the car market just as Tesla is gobbling much of it up, Ford will now focus its efforts on inefficient trucks and SUVs. Ford’s big EV announcement, made in January 2018, is that it intends to be selling 40 electrified models by 2025. The problems that make that less exciting than it sounds are that some of those models are just for China, and that “electrified” includes conventional, out-of-date, non-plug-in hybrids. Of the 40, only 16 will actually be electric models. One of those models will be an all-electric SUV, but as with other models, there isn’t info on price, range or targeted production capacity. Ford’s investment in electrified models is supposed to reach $11 billion by 2022, which is a notable increase from the $4.5 billion by 2020 that it pledged in 2015. 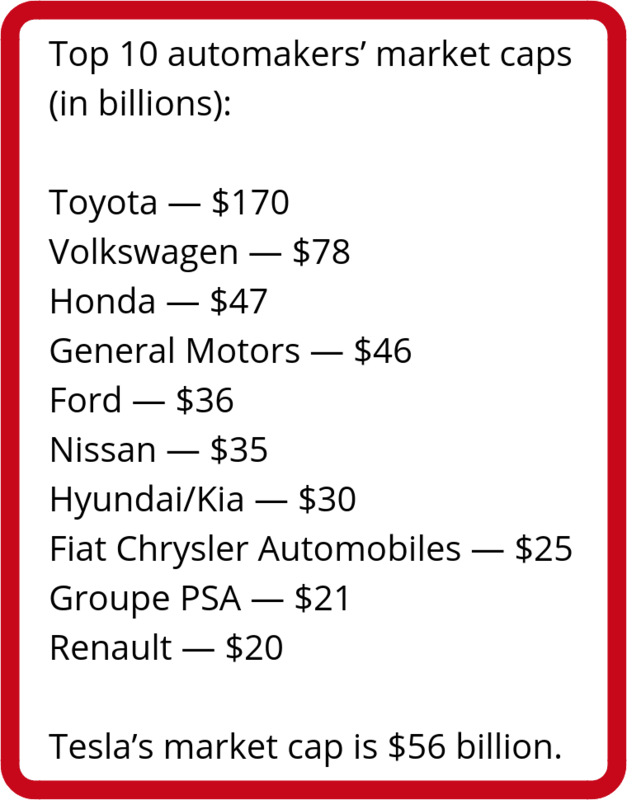 It’s on par with some of the companies with the biggest public announcements about EV investments, but it’s still far lower than the $40 billion that Volkswagen plans to invest by 2025 – unless Ford will put in another $29 billion from 2022 to 2025. Sooner, rather than later, we might all be driving electric cars, but for that to happen a lot has to change on the automotive market. Until EVs become the bread and butter of the industry, we will have to settle for fossil-fuel cars. But, worry not. Bring your automotive pet to our repair shops in Hamilton and Oakville for a checkup and we will take care of it as our own. Come down today!